Have you ever had a lens pop out of your glasses? Well with trendy, new single-lens shades you need no longer worry. 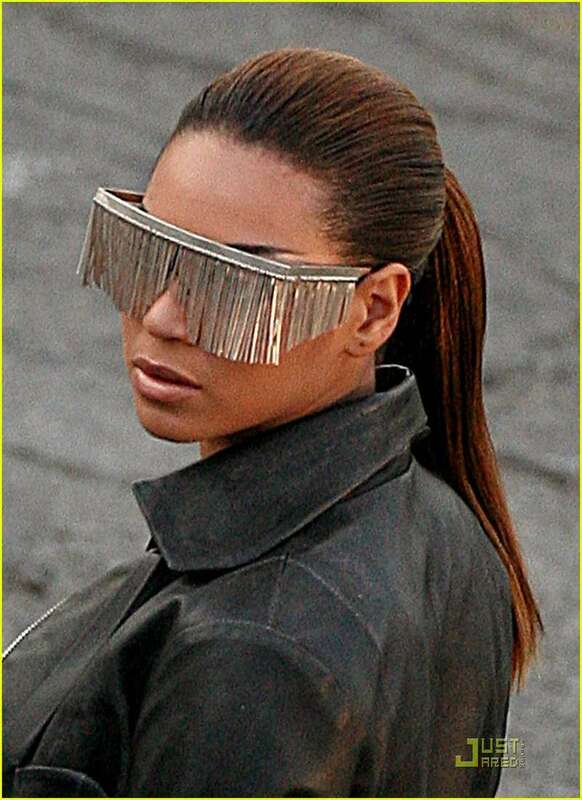 People have been coveting wrap-around shades since Geordi la Forge first walked the halls on the USS Enterprise. 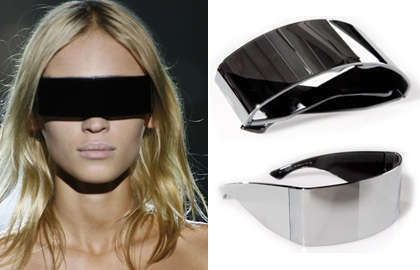 Most recently fashion designer Martin Margiela took it upon himself to carry the torch for single-lens shades. Disposable and DIY sunglasses are also hopping on the mono-lens bandwagon. In these cases, one lens is just more functional. Function is not a priority where sight-obscuring shades are concerned, but whether it be rhinestones or tassels, these fashionable glasses still lack a partition. Flexible single-lens shades are even being used to protect the eyes of man’s best friend.